The 4th International NHF workshop was held from 12 to 17 April, 2015 in Baguio, Philippines. 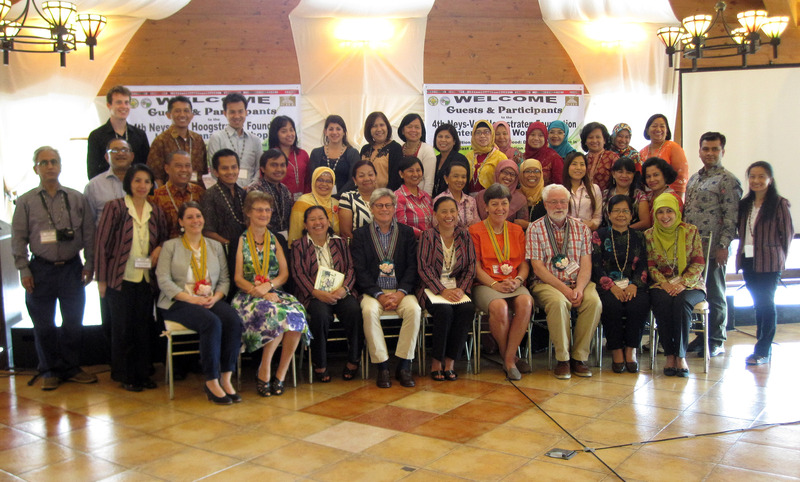 The Workshop was hosted by the Northern Philippines Root Crops Research and Training Center (NPRCRTC) and the Benguet State University (BSU). A total of 35 researchers from India, Indonesia, Philippines, Myanmar, Nepal and The Netherlands participated in the workshop. Livelihoods, food cultures, food policies, agricultural production and food consumption are major determinants of household food security and nutritional status of individuals. Some households and communities are more likely to be food insecure than others and some groups of people are particularly vulnerable to nutrition insecurity. In (Southeast) Asia, as elsewhere, nutritional deficiencies can be found both in rural and in urban areas. In traditional rural communities the potential and nutritional value of wild foods may still be acknowledged, in urban areas new fast foods are cheap and easily accessible. The parameters that influence food and nutrition insecurity are changing. These patterns and changes form the background against which aspects of food and nutrition security were discussed at the workshop. Discuss with the participants the future course of the NHF. If you are interested in finding out more information on the content of the 4th Neys van Hoogstraten Foundation workshop please have a look at the presentations of the key note speakers. Researchers supported by the Neys-van Hoogstraten Foundation (NHF), presented a paper or a poster about their research. For abstracts see: Report workshop 2015.